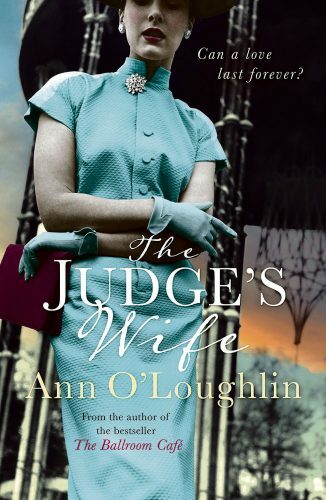 Fiona O’Brien spoke to Ann O’Loughlin about her novel The Judge’s Wife and juggling time to write fiction whilst a senior court reporter in Ireland. 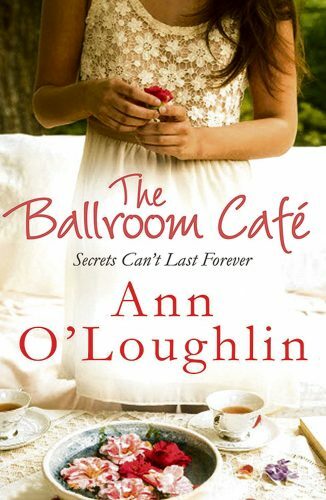 The Ballroom Cafe was Ann O’Loughlin’s debut novel, and after its release in January of 2015 it had reached over 230,000 eBook sales less than a year after it came out. It gained popularity as the first work of fiction to come out of Ireland that concentrated on the forced illegal adoption of young children in Irish orphanages to the US, and came in at number 15 on Amazon’s Kindle UK Bestsellers Chart of the year 2015. It currently has 1,515 customer reviews on the online store with an average rating of 4.3 out of 5 stars. 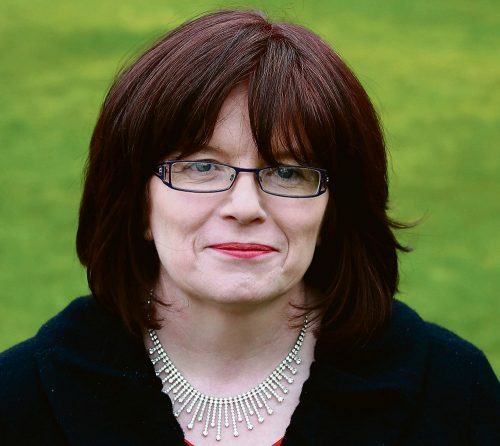 Ann has worked as a reporter in Ireland for over thirty years, and through her work has gained a natural knowledge of current affairs and historical cover-ups in Ireland that have threaded their way into her fiction writing. It is the human interactions and relationships that has gained Ann fans in her literary work, while the more serious issues run as a sub-plot in the background. Ballroom Cafe is about sisters who live in an almost derelict Irish mansion, and haven’t spoken to each other for years. One of them decides to try and save the home by opening a cafe in the ballroom, much to her sister’s disgust, but the plot thickens when an American starts working there, having moved to Ireland to try to trace her birth mother. As she unlocks an adoption scandal the story dwells on the silence from the local convent as well as the heartache felt by a family torn apart by the way young pregnant women were treated in decades gone by. The books don’t pass judgement. It takes a lot of background research and presents it quite factually I hope, and focuses on the characters fictional story. Her new novel, the dreaded second-book, is another story that came into Ann’s mind. It is a romantic saga which spans three decades and deals with the issues of institutional care. The main character Grace is married off to a judge much older to her when she is young in 1950s Ireland. She ends up falling for an Indian doctor called Vikram, and falls pregnant. As soon as Grace gives birth to her child she is sent to an asylum by her husband and Vikram is told that she died in childbirth and returns to India heartbroken. Thirty years later, when Grace’s husband dies his estranged daughter Emma returns home to uncover the truth about her family background. She finds her mother’s old diaries and begins to uncover the mystery of her whereabouts. At the same time Vikram’s niece Rosa is planning a trip to bring her uncle back to Ireland after she fell in love with the story of his and Grace’s love. The aim of the trip is for Vikram to visit the grave of his long-lost love, but with Emma’s discovery the love story is resolved. “Although this deals with quite heavy and serious issues, again it is a story about love. There’s no getting away from the fact that it is women’s fiction; everyone always says that they know that their mother would love my book, but there is humour and gossip and more light-hearted elements in there too. “When I was doing the research for this book it completely opened my eyes into how many people these asylums affected. Women would go in there even if they were just a bit ‘wild’ I suppose. “I really think that it will be the next big scandal or story in Ireland, much like the institutional abuse and forced adoption cases were. People are only really beginning to speak up about their horrific experiences now years later, because it was such a taboo subject. “I think people now question how these things could ever have happened, but I suppose that’s looking back on it from modern times. “You have to understand that this was a different Ireland. One of the biggest things that shocked me when I was doing my research was the amount of people who actually relied on these homes as State-run institutions. “Castlebar, in Mayo, I think at the time had a population of about 5,000. Of these 2,000 were patients in the asylum and the rest of the population in the town relied on it for trade, whether they worked there as nurses, or did the laundry, or provided the food. “A lot of people relied on it for their livelihood and work. And then if you take in what it would have been like for someone like Vikram to live in 1950s Ireland. “We always used to hear ‘Irish people aren’t racist’ but in all honesty it was because they never really encountered anyone from different countries or of different ethnicities. It’s only in the last maybe ten or fifteen years or so that migration has seen that change. Vikram would have really been completely isolated as an Indian migrant in Ireland at that time. By 1966, Ireland was incarcerating a higher proportion of its people in mental hospitals than anywhere else in the world. It follows that very many of these people (21,000 at the height of the system) were not mentally ill but were locked up for what Ann believes were social, political and familial reasons. It is believed that 11,000 people died every decade in Irish mental hospitals – that’s 33,000 people between the 1930s and the 1950s. Many of them died because of neglect and insanitary conditions. Anne herself currently works full time as a senior court and legal affairs correspondent for The Irish Examiner, having earned her NCTJ and City of Guilds Diploma in Newspaper Journalism from Dublin’s College of Commerce in Rathmines in 1982. Since then the Ennis native has covered all major news events of the last three decades, including working as Security Correspondent at the height of the troubles for Independent News and Media’s Irish Independent and Evening Herald. She now lives in county Wicklow with her husband and two children, but doesn’t find her fiction writing taxing on top of her full-time job. “I find the two types of writing completely removed from each other. I had always wanted to write fiction but never really had the chance and then these stories came to me. The book cover itself is also very telling of the time, with a glamorous figurine of a 1950s woman, with head cropped, emblazoning the front page. It is stylistically very similar to the one that graced the front page of The Ballroom Cafe, which shows a young woman overlooking a table of a cafe. The Judge’s Wife pays homage to Irish dress designer Sybil Connolly, with both her character and designs interweaving through the plot. Sybil Connolly was adept at reworking traditional Irish fabrics and styles – including peasant blouses, flannel petticoats and shawls – to give them contemporary appeal and glamour. Perhaps her most distinctive contribution to fashion was pleated handkerchief linen – as worn by Jackie Kennedy in the official White House portrait – it took up to nine yards of Irish linen handkerchiefs to create one yard of the uncrushable pleated fabric that she pioneered. Designs were created in Ireland, and Connolly employed up to 100 women, mostly crocheting and weaving in their own homes.